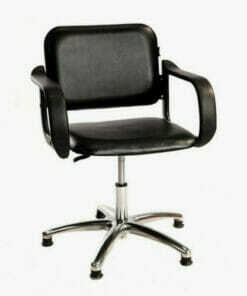 Deep cushioned seat for excellent client comfort. 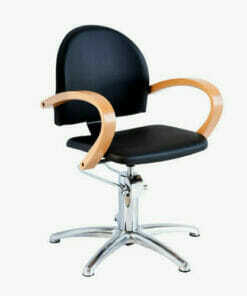 Crewe Orlando Antigua Styling Chair. 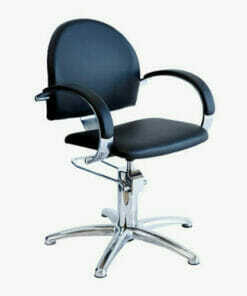 A modern and stylish designed salon chair. Ideal for any hairdressing salon or barbers shop. 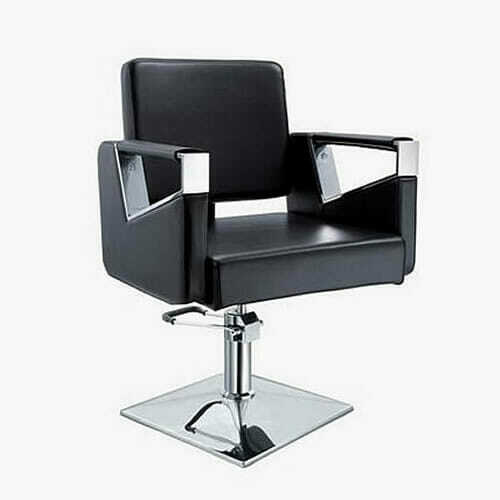 The Crewe Orlando Antigua Styling Chair is supplied with a heavy duty, chrome square base with a locking hydraulic pump. This allows the chairs height to be easily adjusted with the foot lever and will lock into position to prevent any movement during use. The Crewe Orlando Antigua Styling Chair has a deep cushioned seat, upholstered in a hard wearing black fabric as standard. 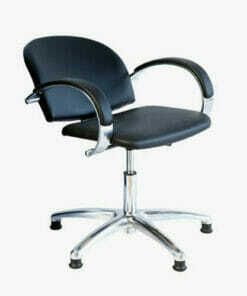 Giving added client comfort and excellent durability. 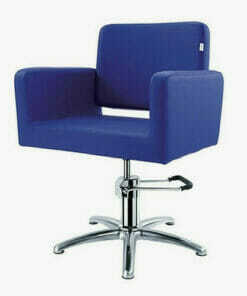 This chair can be made to order in a range of other colours (please see chart below). Please allow 10 to 14 weeks for delivery. 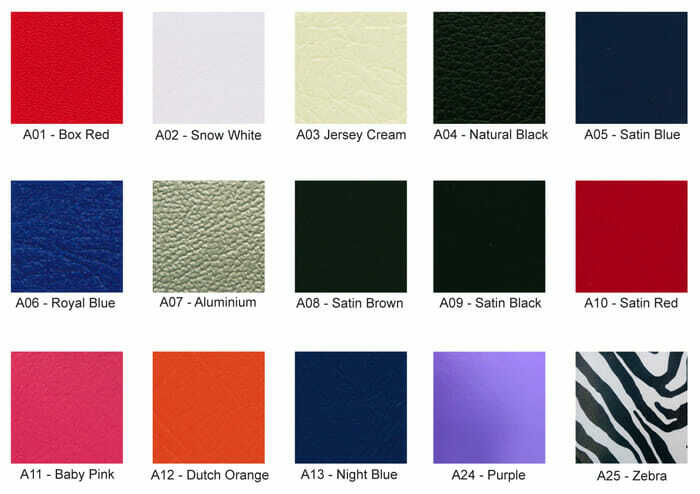 Please call us on 01270 630280 to discuss coloured upholstery. Dimensions: Width – outer 62cm & inner 49cm. Depth – 64cm. Height – min 47cm & max 57cm. 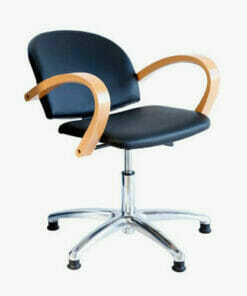 Traditionally designed chair with a simple and stylish feel. Modern square design and spacious padded seat. Created in Italy, built in Britain. Great combination of style and durability. Classically designed, both practical and affordable. Created in Italy, built in Britain. Featuring traditional wooden arms. 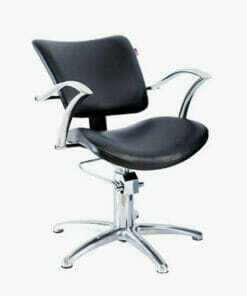 Stylish and economical salon backwash chair with a reclining back rest. 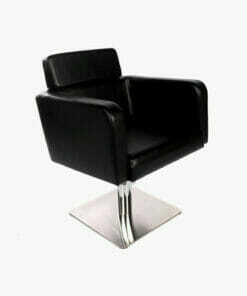 Contemporary salon seat with a wide cube shape. 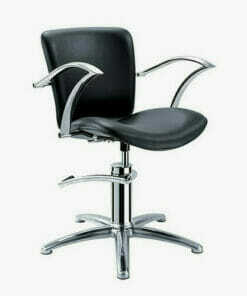 Stylish and economical salon chair at an affordable price. A classically designed backwash chair, which is both practical and affordable. Contemporary black upholstered salon seat with a cube shape design.